The agency’s customer service operation has been hobbled, too. In late March, the IRS said fewer than 40% of the people who call during this tax season will get through to someone. A decade ago, the figure was 83 percent. The agency is so short on funds that some employees purchase their own office supplies …. People who’ve spent their careers at the IRS all say the same thing: The pay wasn’t fantastic, but the health care and pension benefits were. And they went to the office each morning with a sense of purpose. Without their efforts, they knew, the federal government would stop working. The Taxman Bummeth, Bloomberg Businessweek April 13, 2015. I spent over 20 years in the U.S. Air Force. I loved it. Not because of the pay nor even the pension I received after 20 years. It was because it had a noble purpose that needed doing. However, a noble purpose didn’t mean we were efficient, effective or even capable of getting the job done. For example, it was normal to deliver software intensive military projects late and buggy. Our national defense, our ability to detect and respond to attacks for example, was dependent upon these systems and we didn’t do them very well. We later outsourced much of our software development to big companies and then we managed those contracts as we had managed our in-house efforts. They too delivered software intensive systems late and buggy. Reading the article on the plight of the IRS sounded all too familiar to me. In the Air Force during the good times, when we were well funded, we didn’t do software any better than we had during the lean times. The lack of money was never the source of our challenges, at least not in my experience. The lack of good ideas and approaches was always the core cause of underperformance. Once we did fairly simple things such as focus on quality or pick a rational schedule, we delivered software intensive projects on time with good to great quality, without any change in funding. Being fairly simple didn’t mean that what we did wasn’t hard and it was almost always against the grain of how we had done things in the past — with all the political repercussions of that kind of approach. I was a young Air Force officer. I had paid my taxes as I did every year. Actually, I had somehow missed a year and when I finally submitted my taxes, I got a refund back with interest. In another year I got a letter from the IRS saying they had disapproved one of my deductions and so had adjusted my tax refund. It only changed the refund by a few dollars. In another year I was being assigned overseas and wanted to keep my car until the day I left the country. I ended up donating the car to a charity and taking a cab to the airport where I then flew to Europe for a three year tour. In that year I paid no taxes because I had a large charitable deduction relative to my meager military pay. It never occurred to me, nor apparently the average US citizen based upon IRS data, to not pay our taxes. It was simply one of those things we had to do each year and it made sense. 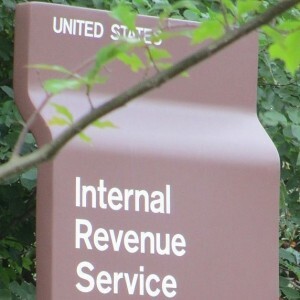 Too often as things change we try to hang onto what we’ve done in the past and cry “danger.” The humorous part of the article is that the numbers show the IRS is being effective but with it is the fear that everything will change for the worse. Why? Because it assumes people will go over the to “dark side” and stop paying taxes if they are not watched closely. While there is obviously some truth to that, the real question seems to be how much oversight is needed to get acceptable compliance. More money, more people and more time is not always the solution. Sometimes — often times — the solution is simply to take another approach, such as trusting people. How are you handling it when you are asked to do your project with less resources?